Andrew Weissmann Stepping Down From Special Counsel Robert Mueller Team Andrew Weissmann, one of the best-known lawyers in special counsel Robert Mueller's office, is set to depart soon from that job and the Justice Department, NPR has learned. 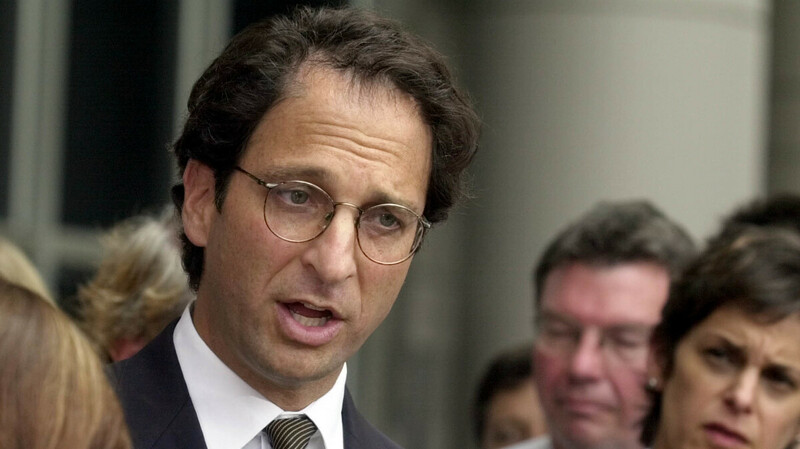 Justice Department prosecutor Andrew Weissmann during the Arthur Andersen trial in Houston in 2002. The legal veteran, whose latest post was with the special counsel's office, is stepping down. Manafort has been sentenced to about 7 1/2 years in federal prison following two cases that stemmed from Mueller's investigation, although neither case involved alleged collusion with the Russians who interfered in the election. They cited his attendance at Hillary Clinton's election night party in 2016 and a positive email he wrote to former Acting Attorney General Sally Yates after she refused to defend the Trump administration's first Muslim travel ban. A later version of that ban was eventually upheld by a majority of the Supreme Court. Trump and his aides would be facing off against a group of "killers," Bannon reportedly said. Author Michael Wolff wrote that Bannon told him that Weissmann was like "the LeBron James of money laundering investigations." "Andrew is attacked because he is feared; those under investigation know just how effective he is," Ruemmler said. "He has not only peerless technical skills, but the fearlessness necessary for pursuing high profile, complex cases and a passionate commitment to seeing justice is done." Weissmann's move offers a potent signal that the special counsel investigation is all but done, one source said. Weissmann has a long history of unraveling complex financial ties and securing cooperation from people inside corporations or mob enterprises to build criminal cases against higher-ups. Lay died before he could be sentenced. Skilling served 12 years behind bars before his recent release. At the time, critics said Weissmann deployed hard-nosed tactics and a "win-at-all-costs" mentality. They pointed out that his conviction against the accounting firm that did Enron's books, Arthur Andersen, was unanimously reversed by the Supreme Court, which cited faulty jury instructions. The case helped prompt Congress to pass a new obstruction of justice statute, but it remains to be seen whether that law will prove fruitful in the ongoing Mueller probe. Leslie Caldwell worked alongside Weissmann in Brooklyn and at the Justice Department in Washington. She said he has a reputation for getting results. "Throughout his career, Andrew has had unparalleled success in building case after case against the most sophisticated criminals in the world," Caldwell said. "He took on New York's most feared organized crime families, unraveled the incredibly ornate frauds at Enron, and has tracked international criminals, exposing their carefully concealed financial dealings in many dark corners of the world." Weissmann has moved in and out of public service several times throughout his legal career. He did high-profile legal work for the U.S. Chamber of Commerce and other corporate clients before rejoining the Justice Department as general counsel at the FBI when it was led by Mueller. During that stint, Weissmann worked closely with the Innocence Project to institute a wide-ranging review of cases in which defendants might have been wrongfully convicted based on bad testimony from FBI forensic experts.